Leslie Parry is a graduate of the Iowa Writers' Workshop. Her stories have appeared in The Virginia Quarterly Review, The Missouri Review, The Cincinnati Review, and The PEN/O. Henry Prize Stories, among other publications. She was recently a resident at Yaddo and the Kerouac House. Her writing has also received a National Magazine Award nomination and an honorable mention in The Best American Short Stories 2013. She lives in Chicago. 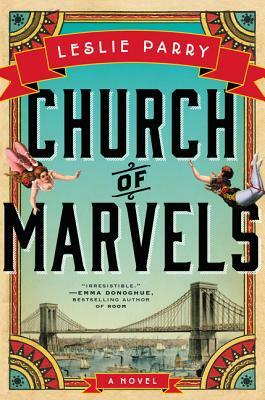 “Church of Marvels” is rich with the uncommon and strange; it is full of odd and confounding turns. It is, simply, marvelous.